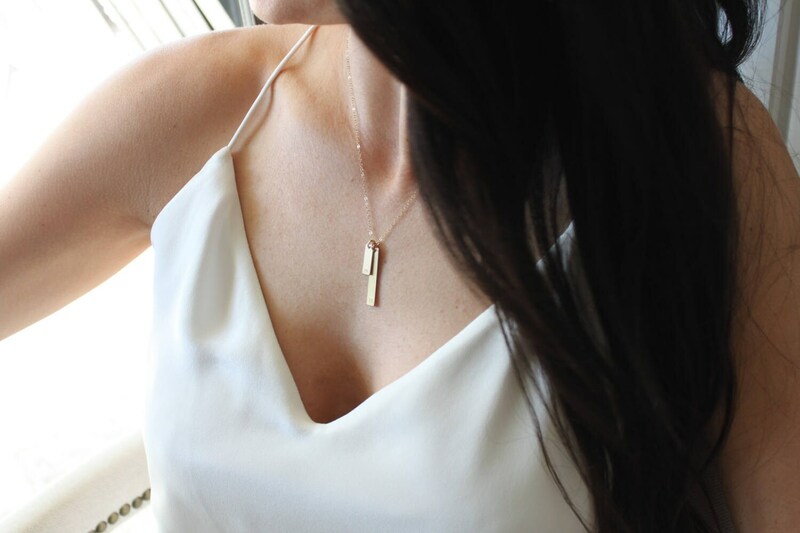 Classic and chis our double bar necklace is available in Silver, Rose or Gold options. 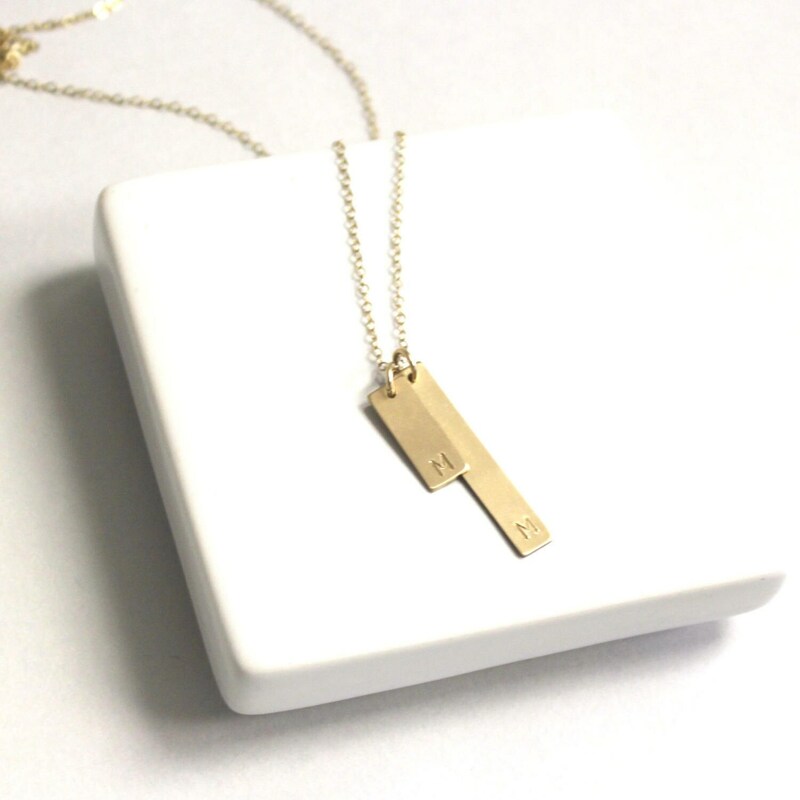 Wonderful for initials or wear one bar with a heart, this necklace is dainty and perfect for everyday. 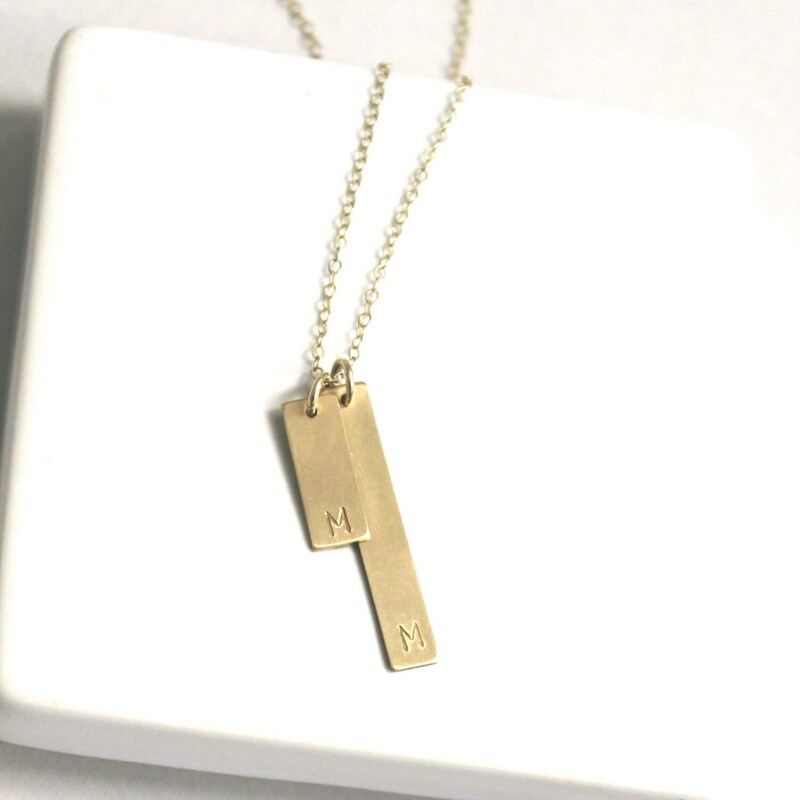 -Hand stamped with an initial on the bottom of the bar. 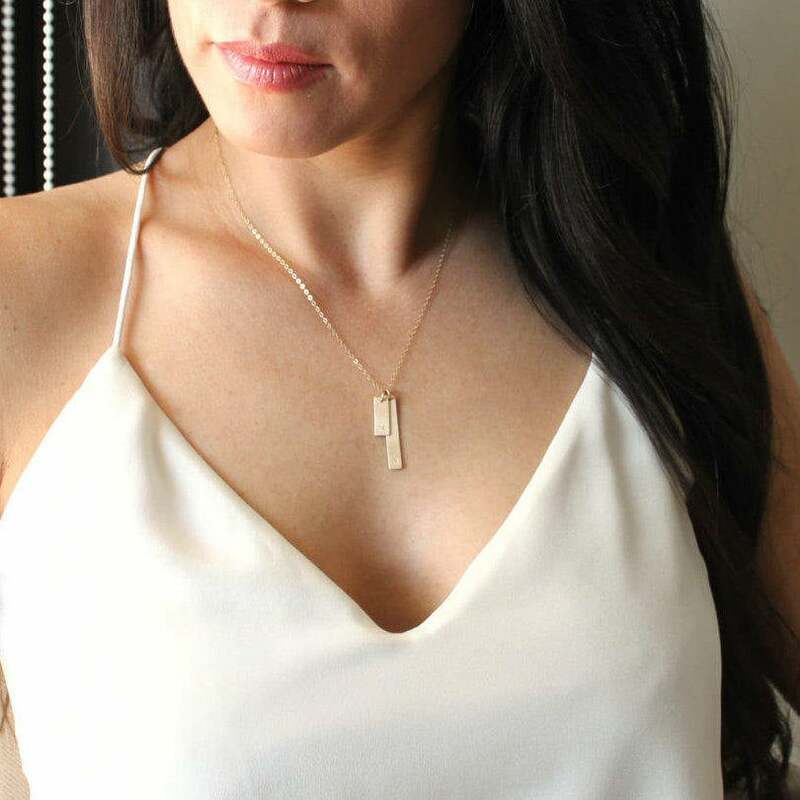 -One character can be a heart or crossed arrows stamp.